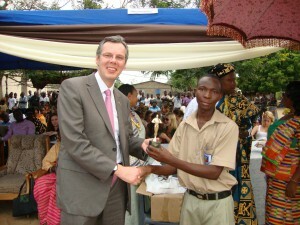 The fifth annual Prize & Speech Day of the Atorkor Local Authority basic School was held on 9th August 2011. The theme for this year’s speech day was ‘Essential ingredients for providing quality education’ and was delivered by the deputy Municipal director of education, Keta. The special guest of honour was the British High Commissioner to Ghana, His Excellency Mr. Peter Jones. A group of 17 comprising 15 students and 2 teachers from the Royal Masonic School for Girls (RMSG) in Rickmansworth, United Kingdom, attended the function. The speech day was sponsored by the ADF to celebrate and recognise the hard work and achievements of the school especially the children. The ceremony was attended by Togbi Akumey Geli Adjorlolo III, (Dr. Samuel Adjorlolo) Chairman of ADF and Dufia (senior chief) of Atorkor, Mr. Walter Deffor, one of the trustees of the ADF and some chiefs from the area namely Togbi James Ocloo, Dufia of Keta, Togbi Avege II, Agbotadua Boni of Anloga, Mama Amexleti Dunenyo II, queenmother, Atorkor. The ceremony was chaired by Dumega Mr. Raymond K. Okudzeto, director of the ADF and Founder and president of the Volta Foundation. The award of prizes to 48 children –books, school bags, uniforms, certificates and educational sponsorship. The outstanding achievement award: The Foundation presented this award to Mr. Hope Yevoo for achieving aggregate 9 at the Basic Education Certificate Examination (BECE). This is the best individual performance at this examination since the Foundation started the speech and prize giving day in 2003. The BECE is taken at the end of the 3 years of Junior High School. The RMSG Special Educational Sponsorship: The RMSG decided in 2010 to start the sponsorship of the entire education of a girl child from the Atorkor. 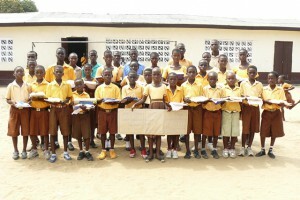 In 2010, the school donated £2,018 to sponsor Miss Comfort Yormekpe. Another award was made at this year’s speech day to Miss Lena Tamakloe. She received £2,000. (UK pounds sterling). Agbezudor Prize: Awarded to the best student in cultural studies. This is the first time the prize was awarded. It was sponsored by Mr. Chris Agbezudor and his wife Pat. They are the patrons of the school cultural troupe. Deffor Prize: Awarded to the best student in Information and Communication Technology. It was sponsored by Mr. walter Deffor, a trustee of the ADF. Dufia Prize: Awarded to the best 3 students with aggregate 15 or less at the BECE. This year 4 students qualified for this award which is sponsored by Togbi Akumey Geli Adjorlolo III (Dr. Samuel Adjorlolo). The ADF award: Awarded to the best pupil from primary class 6 and sponsored by the ADF..
Teachers: The Foundation presented a special award to the headmistress for her enormous services to the school. The Foundation also presented a special award to Mr. Seth Kodowu for his services to the ADF. 3 teachers received special prizes for their performance during the year. The Foundation also paid the top-salary to all the teachers. The payment is to recognise their hard work and encourage them to remain in the school. Expansion of ICT Facility: The Foundation is to convert one of the newly built classrooms into an ICT centre. The current centre holds 24 computers which is highly inadequate to serve the large number of children. Nursery School Block: the Foundation has received the architectural drawings of the proposed nursery school building. This will be studied carefully and will be included in the 5- year strategic development plan. Evening Study: The Foundation has recommended to the headmistress for the school to start “evening studies” for the children. A lot of the children have no electricity in their homes therefore find it impossible to study in the evenings. The school will therefore provide a supervised environment for the children to come in during the evening to study. The Foundation will make some payment to the teachers who will agree to supervise the children. 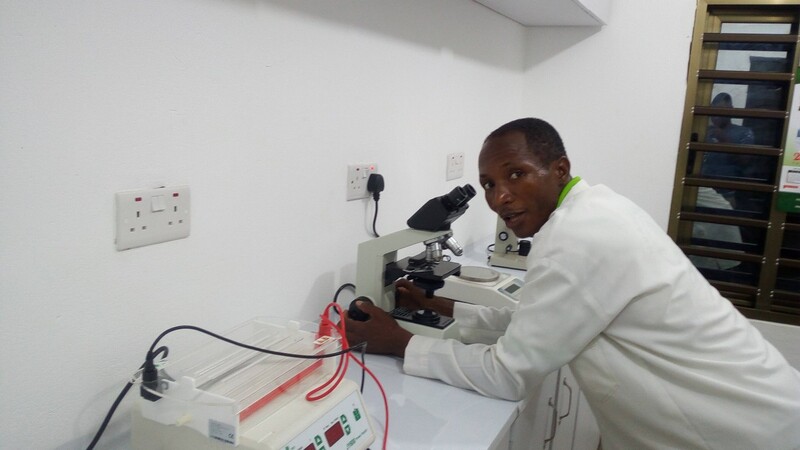 Educational Sponsorship: The Foundation will provide more financial support to the students through the expansion of the educational sponsorship program. Best teacher award: The Foundation has accepted proposals for the award of “the best teacher prize” for next year.